Her married name became Ferguson. John Ferguson is the son of Dr. James Ferguson. Dr. James Ferguson died in 1789. Fitzherbert Wright was born on 1 September 1905. He was the son of Captain Henry FitzHerbert Wright and Muriel Harriet Fletcher. He married Hon. Doreen Julia Wingfield, daughter of Mervyn Richard Wingfield, 8th Viscount of Powerscourt and Sybil Pleydell-Bouverie, on 10 January 1928.2 He died in 1975. Her married name became Makim. Her married name became Luedecke. Hector Eduardo Barrantes was born in 1939 at Trenque Lauquen, ArgentinaG.1 He was the son of Martin Barrantes Figueroa and Clelia Josefina Sansoni Pais.1 He married, firstly, Louise (?) circa 1953. He married, secondly, Susan Mary Wright, daughter of Fitzherbert Wright and Hon. 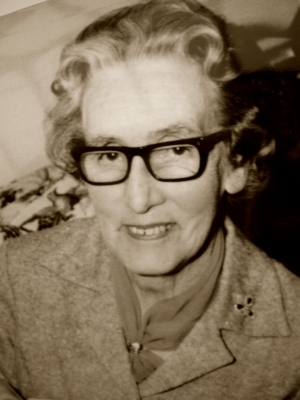 Doreen Julia Wingfield, in July 1975 at Registrar's Office, Chichester, Sussex, EnglandG.2 He died on 10 August 1990 at Buenos Aires, ArgentinaG, from cancer. Louise (?) married Hector Eduardo Barrantes, son of Martin Barrantes Figueroa and Clelia Josefina Sansoni Pais, circa 1953. 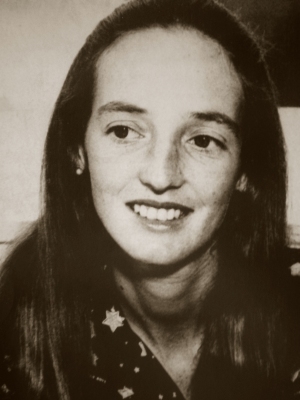 She died circa 1967 at Buenos Aires, ArgentinaG. From circa 1953, her married name became Barrantes.